Quay Boat Sales Ltd also has the Channel Island agency for this superb Finnish brand of premium range motorboats. Axopar brings new thinking to the boating industry with solid design derived from years of experience. Axopar incorporates modular design to combine the advantages of an amazing hull with the freedom of customization to answer to today’s customers’ needs and demands – Finnish boat design at its best. Their boats are functional, easy to access and simple to handle. 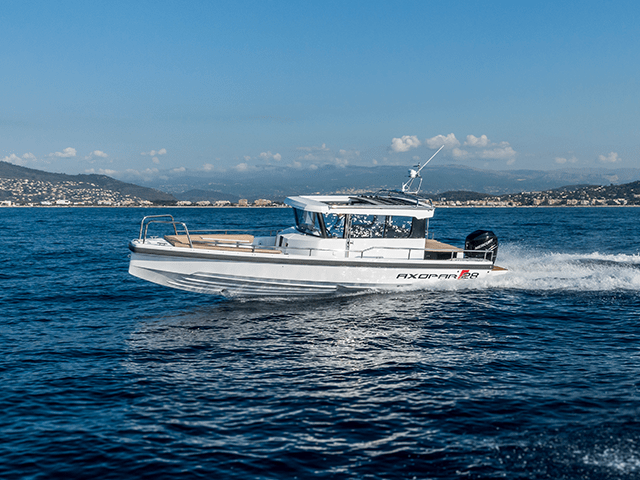 They focus on future boating needs and the changing boating behaviour towards a demand for easier and more affordable boating with lower running costs, easier maintenance and higher residual values.